Bitcoin is facing quite a few problems as it is rushing past its infancy state. 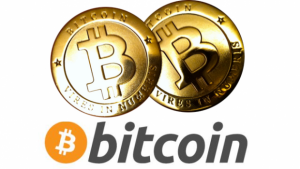 One of the main problems Bitcoin is experiencing at the moment is transaction malleability. There is a bug in the Bitcoin protocol that decides how the coins are moved from one account to the other. This had forced many Bitcoin exchanges to shut down as a result. It had also caused people to question the strength of Bitcoin’s programming. In order for virtual currencies to be used in New York with ease, Lawsky has been putting forth efforts in order to write regulations. 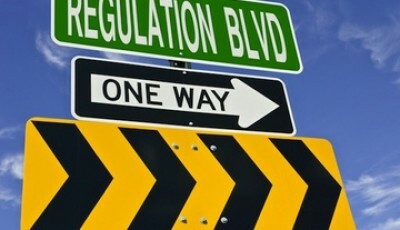 New York’s regulator said he looked to “put forward, during the course of 2014, a proposed regulatory framework for virtual currency firms operating in New York.” However, the Bitcoin Financial Association began a petition to Lawsky titled, “Please Do Not Regulate Bitcoin,” claiming that the digital currency was too young to be regulated. Jim Flaherty, Canada’s prime minster has announced the plan to create national regulations for the digital currency. This is more hopeful than Russia’s recent decision to deem all virtual currencies illegal. Some supporters of Bitcoin wish for more collaboration between regulators and banks. In order for banks to feel more comfortable with Bitcoin transactions, some enthusiast proposed to tag each coin. This would make it possible to see if a coin had been involved in illegal activities. However, this view has faced opposition from early Bitcoin adopters. This is because Bitcoin is decentralized and having banks or governments involved goes against this notion. A professor of economics at Stanford Business School, Susan Athey said it is quite possible that banks will take the best qualities of Bitcoin that make it easy to transfer money. It could also be that other digital currencies can rise up. Besides regulators trying to decide what to do with Bitcoin, hackers definitely knew what they would do. Recently Mt. Gox, one of the world’s largest Bitcoin exchange, had to halt withdrawals and practically shut down. This was due to them finding out that customers could actually make transactions disappear from the records. Since they didn’t want a bigger issue, they’ve been laying low. This at first seemed a problem only Mt. Gox had, however it spread to other Bitcoin exchanges. Due to this, the Bitcoin Foundation had to acknowledge that this “transaction malleability” was in fact a flaw in the Bitcoin protocol that developers had knowledge of. However, with this flaw known, hackers started messing around with the main exchanges. This caused all of the developers who work on Bitcoin’s computer code to do something about the programming. Last Friday, the problem seemed a bit under control as Bitstamp, a large exchange reopened. One of Bitcoin’s longtime developers, Jeff Garzik, has said that the problems that were exposed will be not long-term for Bitcoin. However, Bitcoin needs to face extensive testing. Garzik is very confident in Bitcoin being able to survive hack attacks, and other forms of problems because programmers are working together to fix the problem. He said last year was one of “increasing visibility.” The next year “will be the year of action,” he concluded.